丹麦建筑事务所Schmidt Hammer Lassen Architects，完成了NIO House蔚来中心位于上海的第一期空间设计。这是丹麦SHL建筑事务所为电动汽车品牌NIO蔚莱打造的一座颠覆传统的汽车展厅。通过在空间中运用花旗松、缎面不锈钢、水磨石和织物等不同触感的材质，设计向用户引出一个问题：我们能够将汽车作为家的延伸吗? Danish architectural firm Schmidt Hammer Lassen Architects has completed the first phase of NIO House, an unconventional showroom for electric car company NIO in Shanghai. Through simple use of tactile materials such as Douglas fir, satin stainless steel, terrazzo and fabrics, the space intends to pose a question to the user: Can we make the car an extension of the home? 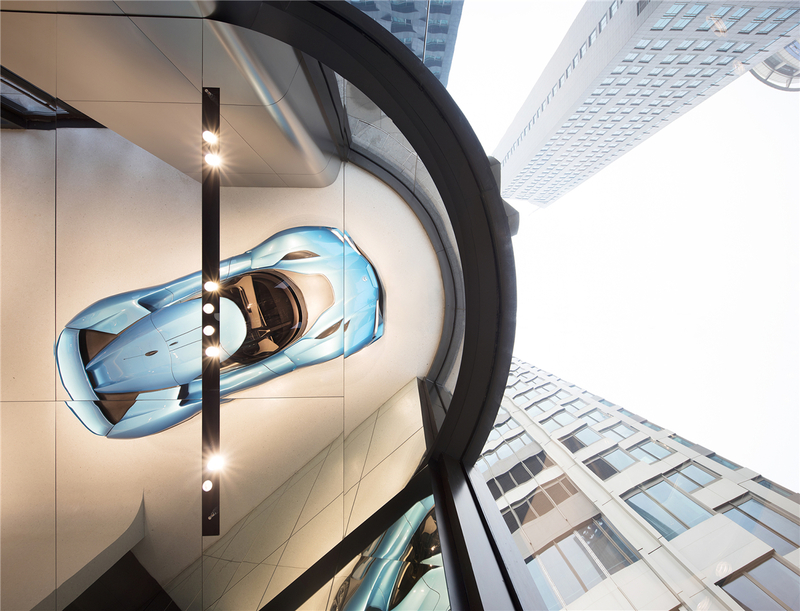 SHANGHAI, CHINA—February 27, 2018—Schmidt Hammer Lassen Architects has reinvented the traditional car showroom with the opening of NIO House, a new design-centric concept for innovative electric car company NIO. A global start-up based in China, NIO designs and develops high-performance, premium electric and autonomous vehicles. 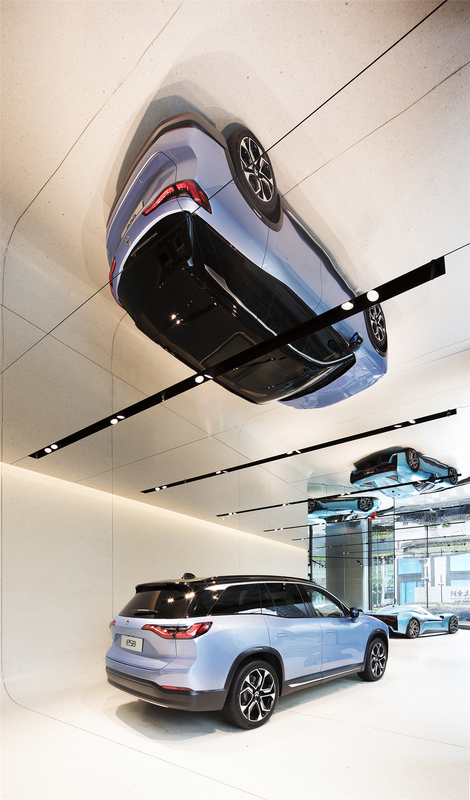 This month’s opening is the first of two phases of NIO House, a new kind of automotive showroom located in Shanghai’s high end Taikoo Hui shopping mall. The car manufacturer’s ES8 and EP9 models are on display in an environment that allows the consumer to understand and experience the philosophy of the brand through the space and its materiality. 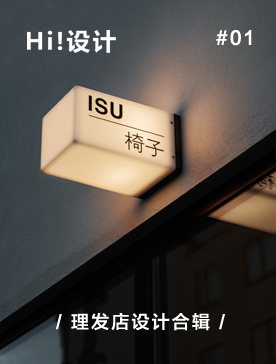 NIO’s brand philosophy, which centres on the environment and its main elements of water, sun, earth and wind, is reflected in the company’s Chinese name WeiLai (蔚来) which translates to ‘Blue Sky Coming.’ This philosophy also comes through in NIO’s logo that combines the notions of moving into the future with the imagery of driving into the horizon, and taking action to achieve its vision. Schmidt Hammer Lassen Architects utilized a material palette that brings a sense of nature, home and the future into the space. 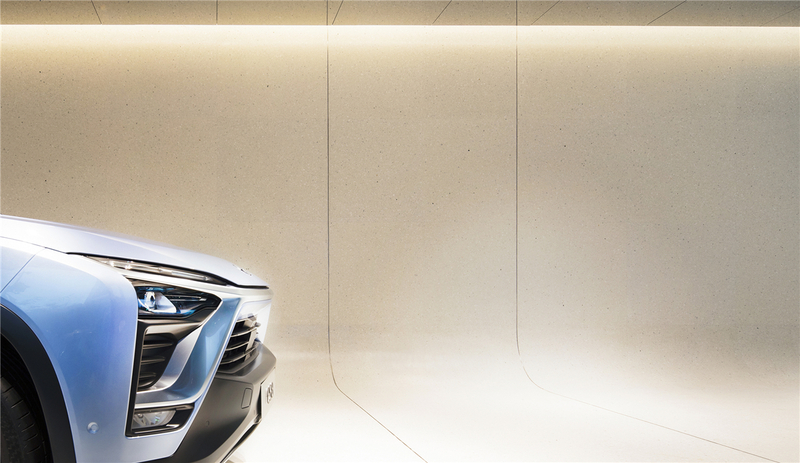 Light coloured terrazzo, a solid material representing the strong foundation of the NIO brand, was selected for the wall and floor surfaces of the car exhibition area. The customised terrazzo includes three types of mid-sized pebbles and creates a warm stone feeling in the space. 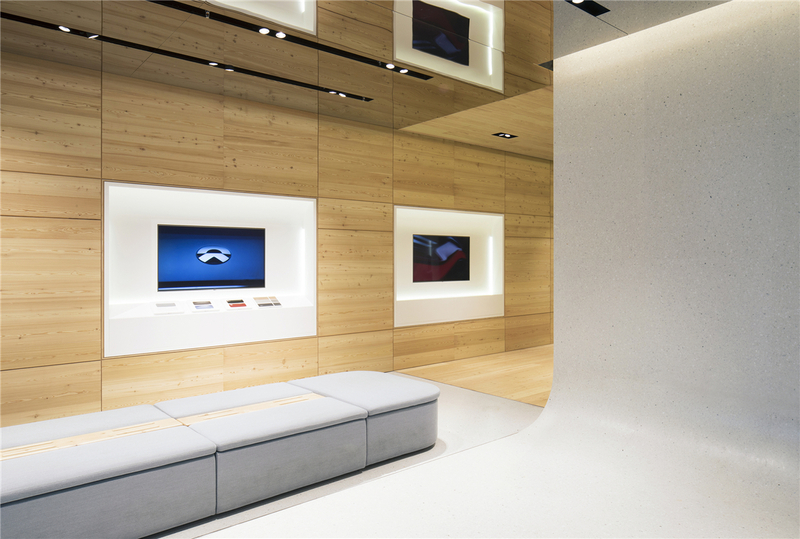 Emphasizing the perfection that customers can find in NIO’s products, the design creates a perfectly curved terrazzo surface, connecting the wall and floor seamlessly. 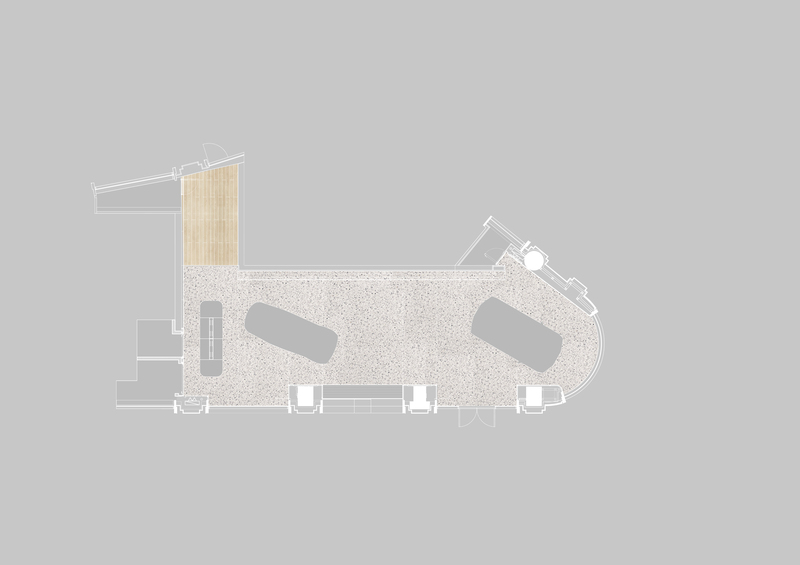 In contrast, a softer material palette was chosen for the configuration area. 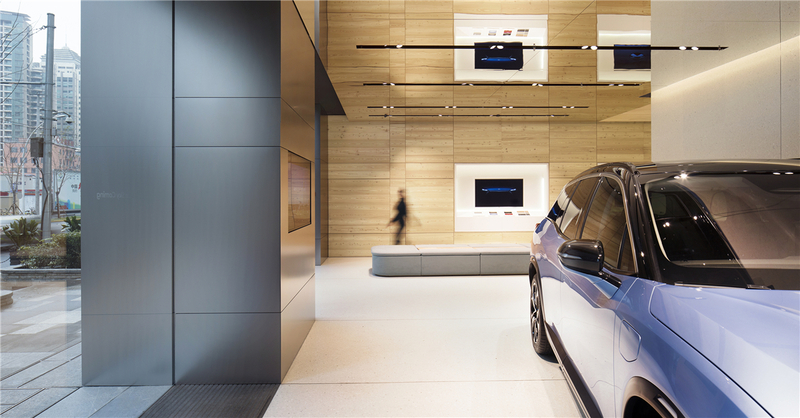 Douglas fir wood boards and a custom-made fabric bench create an area for visitors to rest, as well as view and select various car features on the display wall that is designed with flexibility for future changes. 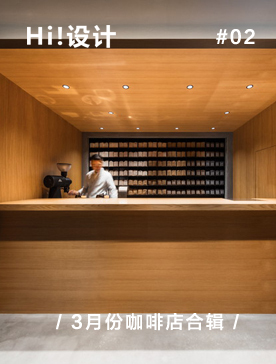 Its calm, warm palette and precise detailing bring more focus to the displayed products. The ceiling, designed and detailed to conceal for a clean expression, was constructed using honeycomb panels with a finished layer of stainless steel chrome, mounted onto a custom-made hanging system. Some of these panels cloak track lighting that is integrated into the ceiling, allowing the lighting to be changed freely according to the position of the cars. A mirrored reflection creates an inception-like effect, allowing visitors to view the car from all possible perspective. NIO takes an unconventional view of the automotive industry, breaking away from the idea of looking at the car as a cult object. Its products are sharp and technical while at the same time comfortable and homey. 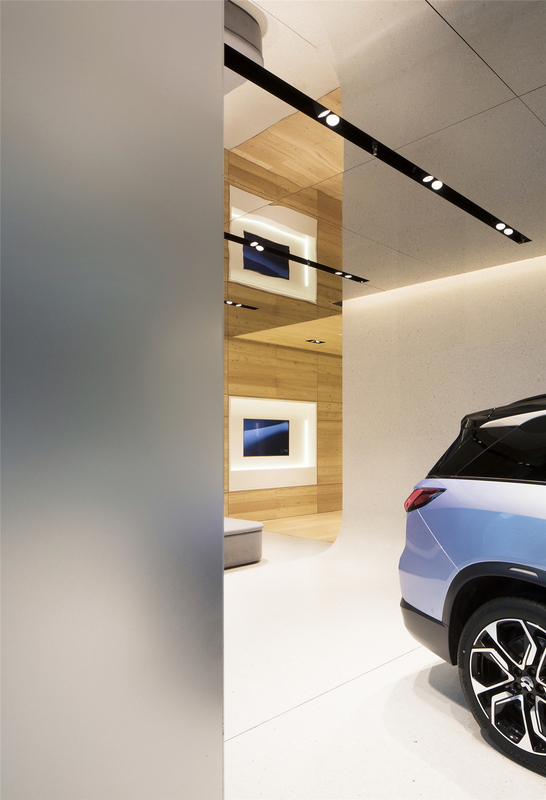 As NIO envisions it, cars will become an extension of the home, and Schmidt Hammer Lassen extended that concept to the car buying experience with NIO House. 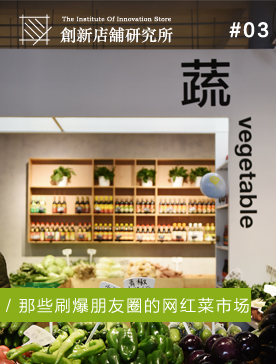 The new showroom is the first phase of a larger, holistic cuomer experience space at NIO House at Shanghai Taikoo Hui. The second phase, to be completed by May 2018, will be a club-style space with a number of dedicated areas for members spread out over two levels. It will include a living room, lounge area, library, meeting space, work lab, an open kitchen, and a discovery area for children. 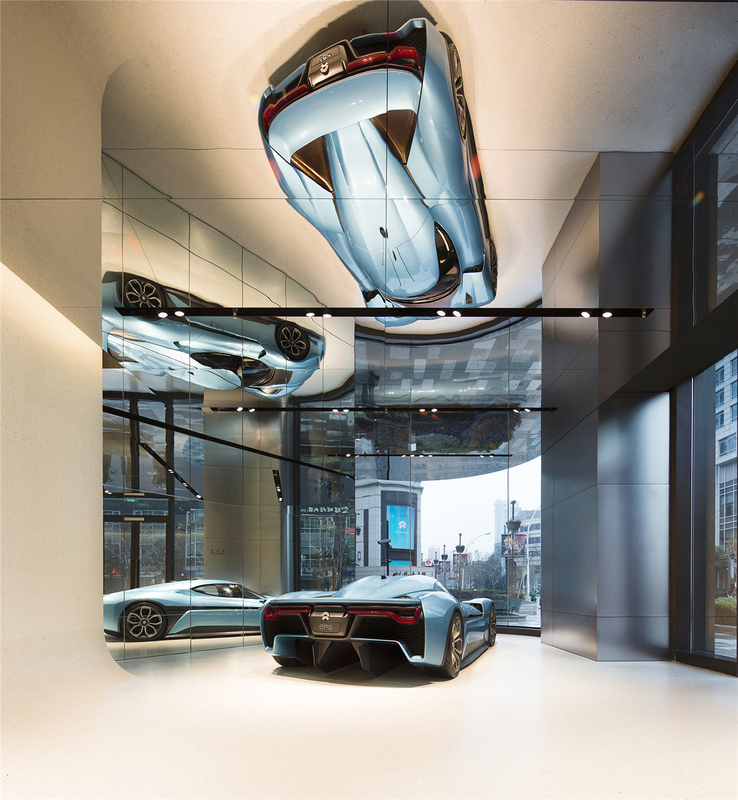 Together with the showroom, it will become the first NIO flagship store in Shanghai. NIO House will become a space to explore, gather, relax and enjoy with the whole family—a home away from home for the owners of NIO products. 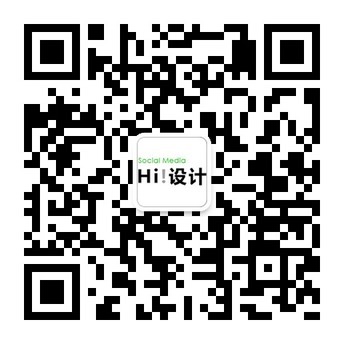 Share the post "颠覆传统汽车展厅的NIO House 蔚来中心"